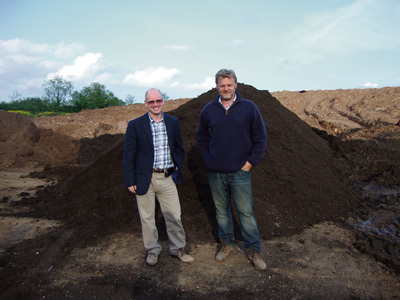 A composting firm near Keynsham has unveiled its £5.5 million plan to create a green energy and education centre. 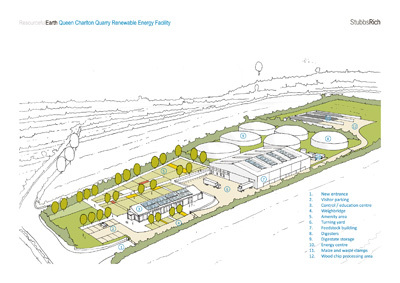 Members of the public were invited to ReOrganics' Charlton Lane site during an open day on May 21 to take a look at the proposals and put questions to the team behind them. Under the plans, an anaerobic digestor would be built to take in 25,000 tonnes of left-over food a year to extract methane gas. This would then be burned to produce electricity to sell back the National Grid, while the heat produced would be used to dry out waste wood for biomass boilers. The combined process, said owner Angus Cunningham, would provide electricity for 2,500 homes and heat for another 2,500, with few per cent of the material taken in, mostly plastic, sent on to become fuel in energy-from-waste incinerators. Mr Cunningham said it would help prove to big companies that going green is financially viable. The new education centre would open its doors to school children, university students and local groups, allowing them to see the anaerobic digestion (AD) process in action as well as providing a classroom to learn in. Mr Cunningham said the centre would aim to increase the understanding of what happens to waste, with youngsters who visit helping to spread the message. The company is also in the process of restoring land at the 35-acre site, formerly a quarry and concrete works, to fields to create natural habitats with walkways for visitors to the centre. The switch from composting to AD, according to the company, would not result in any increase in traffic to and from the site, which currently stands at three HGVs an hour. The entire process would also be enclosed, with lorries delivering waste through an air lock into the building where it is pasteurised and fed into tanks where methane gas is produced by natural processes. The company is submitting the proposals to Bath and North East Somerset Council this month, and, if the plans are approved, hopes to be up to full gas production by 2015.